Corsa Perfermance products are hand crafted in the U.S. from 100% premium stainless steel for highest quality, performance and longevity. Pit Stop USA sells all the products you need for your 3/4 and 1-ton GMC or Chevrolet Trucks including Exhaust Systems And Components. Pit Stop USA is The Online High Performance Superstore! We feature Chevrolet Truck / SUV Exhaust Systems at low everyday prices. Pit Stop USA is The Online High Performance Superstore! 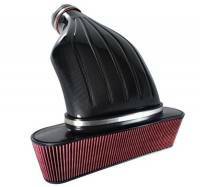 We feature Dodge Truck / SUV Exhaust Systems at low everyday prices. Check out the Recently Listed Exhaust H and X-Pipes. Pit Stop USA is The Online High Performance Superstore! We feature Ford Taurus Exhaust Systems at low everyday prices. Pit Stop USA is The Online High Performance Superstore! 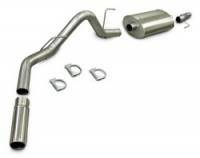 We feature Ford Truck / SUV Exhaust Systems at low everyday prices. FREE SHIPPING! Oversized / Overweight Fees Waived On This Item. Ships from Michigan. Pit Stop USA is The Online Drag Racing Superstore! CORSA Performance is an engineering and manufacturing company based in Berea, Ohio that specializes in high performance stainless steel exhaust systems for the marine and automotive aftermarket. Founded by Jim Browning, the company entered the marine business in 1989. Since that time CORSA has become a leader in performance marine exhaust systems and components supplying more than 60 original equipment boat manufacturers and more than 1,000 boat dealers worldwide with 1,500 different part numbers for Mercruiser and Volvo sterndrive applications. Automotive products at CORSA Performance began with C5 Corvette exhaust systems in 1998, followed quickly by systems for the C4 Corvette, Camaro/Firebird and the Viper. Today, CORSA Performance also offers premium quality stainless steel exhaust systems for Cadillac, Mustang GT, C6 Corvette (including the new 505 hp Z06), the new GTO, 300C/Magnum/Charger (including SRT-8 models) and Hummer H2/H3 vehicles. In 2001, the company also expanded its product line to include truck exhaust systems, and now offers GM, Ford and Dodge truck and SUV products, including diesels. And in 2004, BMW was added to the application list. All automotive products are hand crafted in the U.S. from 100% premium stainless steel for highest quality, performance and longevity; and all our exhaust systems carry a limited lifetime warranty. CORSA Performance takes pride in its rigid quality control standards mandating that no system is released until it meets strict company criteria for both sound and fit. Street Performance USA sells Corsa Performance products at low everyday prices. PitStopUSA.com features Corsa Performance products at low everyday prices.